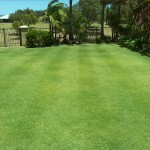 Dans Lawns Dunsborough specialises in lawnmowing in Dunsborough, Eagle Bay and surrounds. Are you looking for someone to look after your lawn? 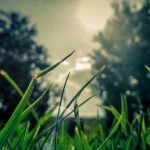 Do you want someone to look after any problems and set up an easy reliable lawn mowing routine? Then Dans Lawns Dunsborough is the standout choice for you. Horticulturally trained, fully insured, we are a great choice for lawnmowing in Dunsborough and surrounds. We offer a variety of domestic and commercial lawnmowing services and specialise in Holiday Homes throughout the area. We take pride in every lawn we do, consistently going the extra mile to create the best lawns in Dunsborough. Have a look at our gallery for a few examples of lawns we maintain. Competitively priced with other services in the area and with all new commercial grade equipment. Call us on 0418 925 378 to discuss any job. We are happy to provide a free quote. Dunsborough lawnmowing by the sea. 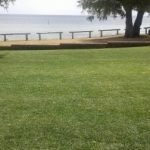 Do you want stunning lawns in Dunsborough or surrounds?